This ground floor beach condo is uniquely situated on the water's edge. Fully renovated in late 2014, it offers an amazing view and an amazing value, with just about everything in our unit being new or refurbished. 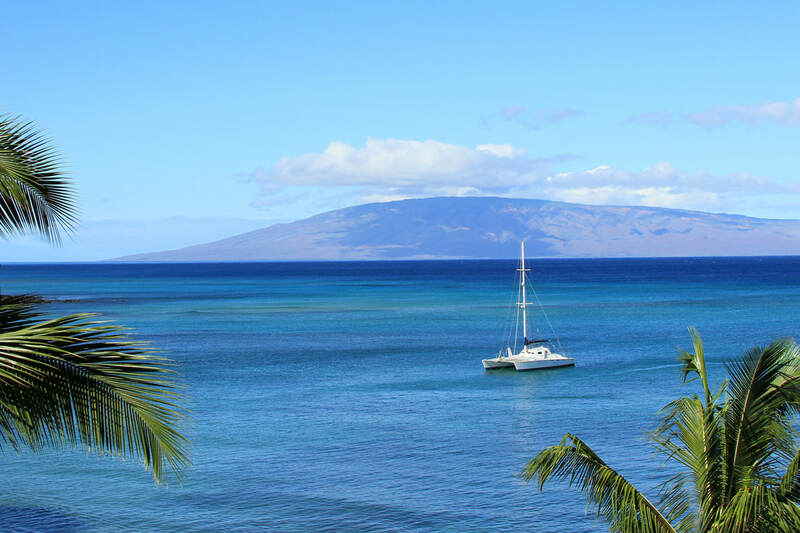 Unobstructed views of the islands of Moloka'i and Lana'i are available from living room, lanai, or surrounding grass area. Yet privacy is paramount with our exclusive ground floor location. Our large outdoor closet includes for your use: beach chairs, umbrellas, mats, snorkeling gear, a cooler, and some items for small children. Parking is free. Smoking is limited to one area of the condominium complex. 2nd floor ocean views from this 1 bedroom, 1 bath vacation condo at Hale Ono Loa. Remodeled condo with all brand new furnishings as of Sept 2012. Soak up the expansive ocean views from your lanai that overlooks the pool and sundeck. Enjoy spectacular sunsets and whale watching in the winter. Enjoy free Netflix shows and movies from our large flat screen TV!! Honokowai Marketplace for grocery shopping and dining is just a mile south and the Kahana Gateway is just 1 mile north. North Kaanapali Beach is just a 5 minute drive. Enjoy free long distance to US Mainland and Canada with free Wi-Fi as well.